Add the perfect decorative accent to your traditional styled kitchen or bathroom cabinetry with the Liberty 96 mm Sisal Pull. With its classic rope design and Flat Black finish, this pull is sure to be enjoyed for years. The Liberty Sisal Pull features 96 mm center-to-center rear mounting. The Liberty French Romantics 3 in. Bronze with Copper Highlights Spoon Foot Pull features traditional design and a warm finish to add classic style to your cabinetry. Make a statement without having to say anything at all when this pull is displayed. Mounting hardware included for easy installation. The Liberty 3 in. Antique Brass Spoon Foot Pull will add a touch of sophistication to any traditional cabinetry. It features a 3 in. center-to-center and a rear-mount design for easy installation. The durable metal base material is finished in a vintage antique brass. 2-1/2 French Lace Bail Pull, 1 per package Influenced by traditional design of centuries past, the French Romantics collection blends warmth and elegance. These designs accent any cabinetry or furniture beautifully. Multiple finishes available. 2-1/2 French Lace Bail Pull, 1 per package is rated 4.4 out of 5 by 14. Rated 5 out of 5 by BK from i just put them on and I absolutely love these!!!... i just put them on and I absolutely love these!!! I didn’t realize one dresser has 2 1/2” and the other dresser has 3” so I need to return half of the ones I bought. I tried to order them in 3” but they don’t come in 3”. Super bummed. I am def keeping them and buying a close match to them. Rated 5 out of 5 by carkar from very nice drawer pulls.... very nice drawer pulls. Rated 4 out of 5 by Coastal from Very disappointed with the color. The photo makes it look two tone, which was the reason I chose ... Very disappointed with the color. The photo makes it look two tone, which was the reason I chose these. Not so! There is very little contrast. Otherwise nice quality, feel, and size. These are for decorative purposes only so I don't care that the bail is fixed and there's little room for fingers. Rated 4 out of 5 by mellanis from Very decorative and heavy metal cabinet pulls and are of good quality. However, they do not swin... 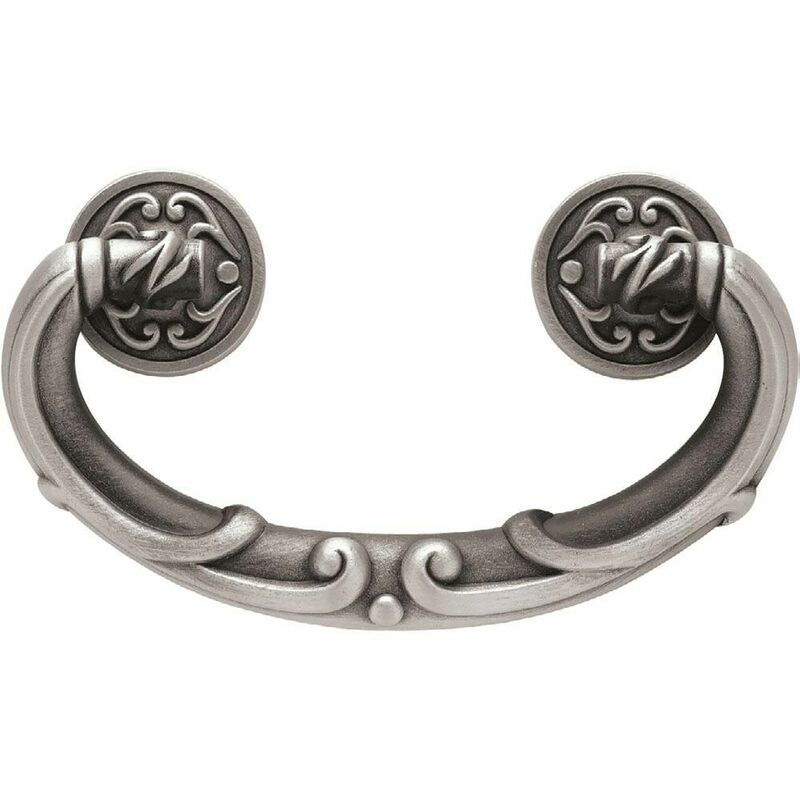 Very decorative and heavy metal cabinet pulls and are of good quality. However, they do not swing; they are stationary. No where in the very limited description did it state this, so I was a bit disappointed when I received them. I did see after I ordered mine, that someone asked that question though. They are sent with two sets of different length screws to fit your cabinet or drawer, however, both sets were too long for my dresser, so off to the local hardware store to get the right length I needed. So, due to the lack of information on the product, I am rating it 4 stars. Rated 4 out of 5 by John from Nice product; sturdy Product was very easy to install and appeared to be of high quality. Rated 5 out of 5 by Reba from cabinet hardware pull I needed 21/2" drawer pulls for the dresser I redid for my daughters room. These are very sturdy and were easy to install.